Welcome to the official Every Tiny Thing newsletter. My sincere thanks to everyone who signed up long ago, never to receive an honest-to-goodness newsletter in all this time. Why did it take me so long? The truth is, I really hate junk mail and I absolutely did not want to send emails out that weren't useful & informative. NICU Success Story - Meet Ella! 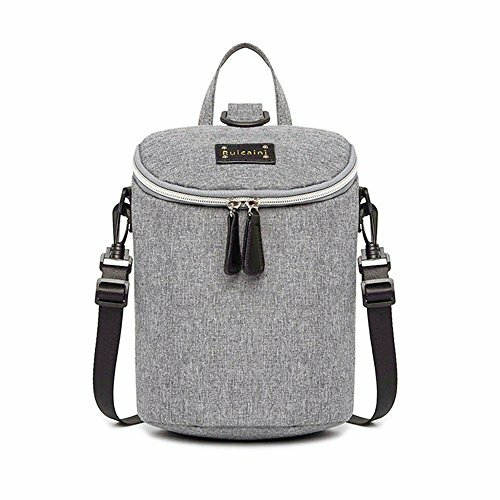 Product Review - What's the Owlet? "Ella is our first baby. I delivered her at 24 weeks because of preeclampsia and HELLP syndrome. Ella was born weighing 1lb and 0.6oz. She measured 10.82 inches long. During her stay she had a chest tube placed, sepsis, PDA ligation, ROP laser eye surgery, grade III brain bleed, several blood transfusions and spent much of her stay on a high frequency jet ventilator, CPAP, and cannula. Due to her unstable condition and chest tube in the beginning, and her PDA ligation, I did not get to hold her until she was 30 days old. We spent 98 days in the NICU and came home on July 1st, ten days before her due date. The first year at home was hard. Life with a preemie brings challenges, but also brings many celebrations. Today our feisty Ella is 19 months old. She jabbers and chats her days away. She is our curious observer." Decorating Ella's room with family pictures and positive quotes. I found a magnet in the gift shop one morning that read: You Are Pure Potential. I made it habit of repeating it again and again when I visited. I also collected her Beads of Courage in a a jar, each week we celebrated her earning another weekly sticker. We also added stickers for weight gain. WHAT WAS THE BEST GIFT YOU RECEIVED DURING YOUR NICU STAY? WHY DID YOU LOVE IT? My best-friend sent me a gift package early on filled with items. Germ-x, headband, notebook to document, pens, comfy shirts, and a bag to keep everything in. Each item had a gift tag attached with a special message written on it. Each gift was so thoughtfully planned. Once we arrived home Ella was still on oxygen and a heart monitor. Two months later she came off both. We ended up investing in the Owlet system. Since Ella slept in a separate room, it brought us peace of mind to have the ability to check on her vitals if needed. Also, some sort of car seat cover such as the MilkSnob is a must! It keeps strangers from bringing germs too close! DO YOU HAVE ANY NICU-RELATED BOOK RECOMMENDATIONS? Preemies: The Essential Guide for Parents of Premature Babies. This book was loaned to me while we were in the NICU and I was able to read a little more closely on some things that Ella was going through. I also enjoyed reading Juniper: The Girl Who Was Born Too soon. WHAT WOULD YOU LIKE THE NURSES TO KNOW? Their words and their compassion have a profound impact on the families they interact with. Each day I stare at my beautiful baby girl and silently thank them for their role in her success. Take time away from the NICU. As uncomfortable as it was to leave time spent with my husband and my friends was soul filling. Having a chance to clear my head away from the constant monitor sounds was necessary. This is what our Team Ella Marie T-shirts for March of Dimes had printed on the back. The statistics received the days before our daughter's birth were harrowing. Each and every milestone, big and small, reminds us how precious and miraculous our little one is. She is our feisty fighter. Thank you Amanda for sharing your story! If you would like to submit YOUR NICU Success Story, head over to this Google Form and answer at least 5 of the interview questions. Stories with photos are much more likely to be featured in our monthly newsletter! Most NICU babies LOVE their binkies, but why not have a little holiday fun while they're at it? 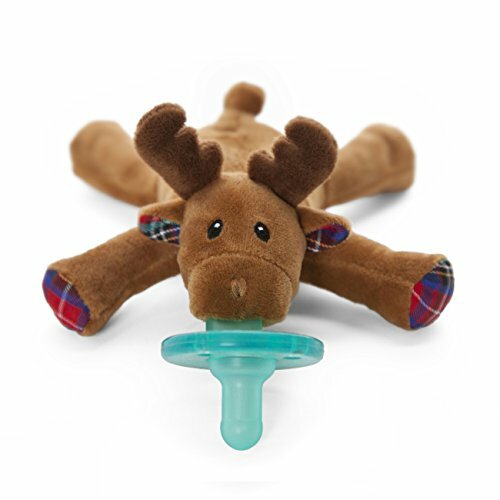 This reindeer from Wubbanub is perfect for the Santa-loving crowd, or you can also find dozens of other cuddly creatures to keep babies company. 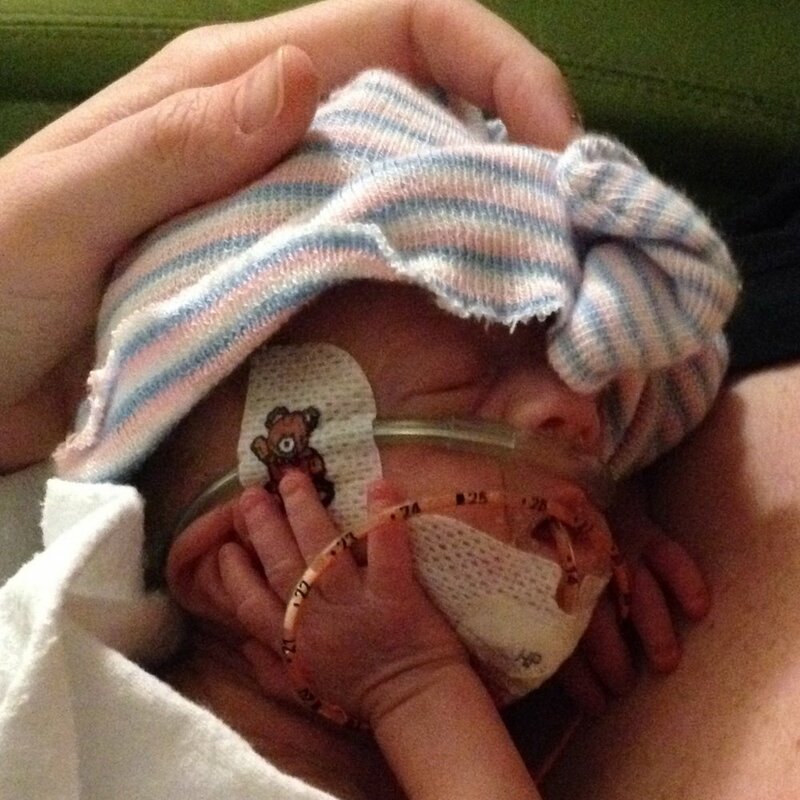 Jacqui's preemie pride makes the cutest hats, and they're available in sizes for the tiniest preemies and up. 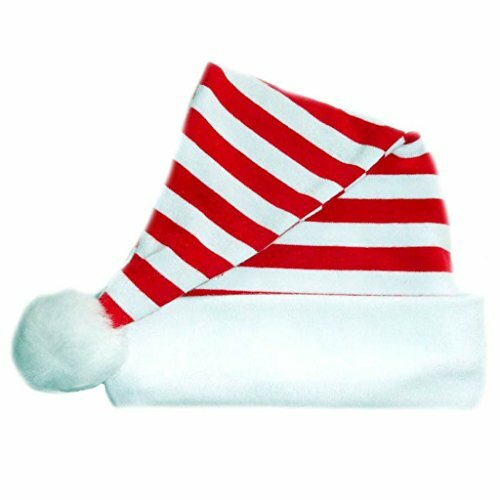 Most parents say that their teeny, tiny baby hats are their favorite keepsakes from their NICU days, so gift them a perfect holiday one. 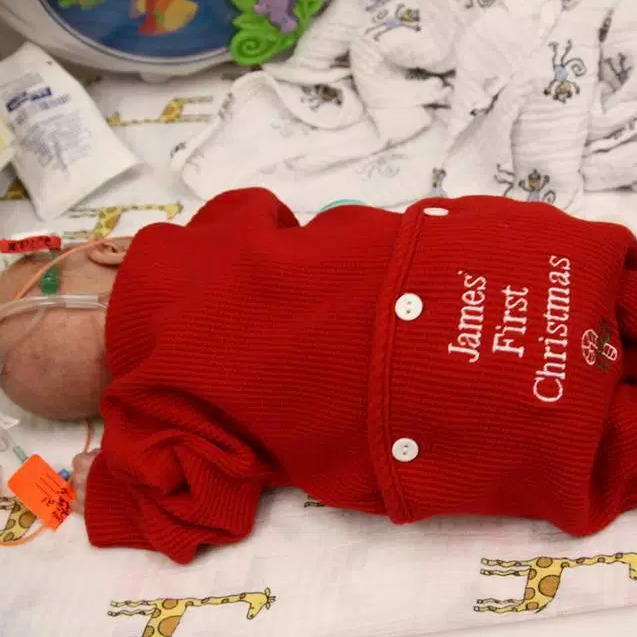 Jacqui's Preemie Pride has plenty of holiday-inspired outfits as well! 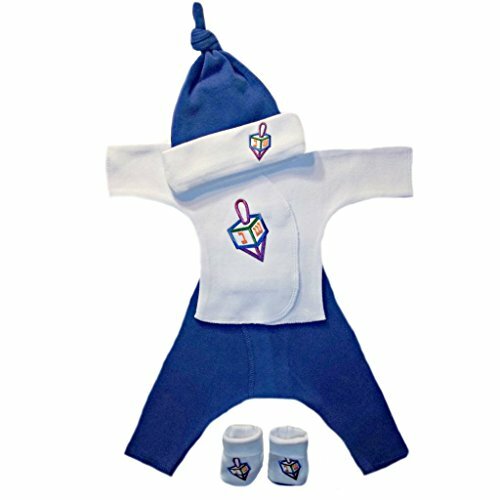 They make this adorable dreidel outfit in sizes ranging from micropreemie to 3 months, so no matter how big or small, your NICU baby is sure to look festive. Everyone loves Kickee Pants, including me! 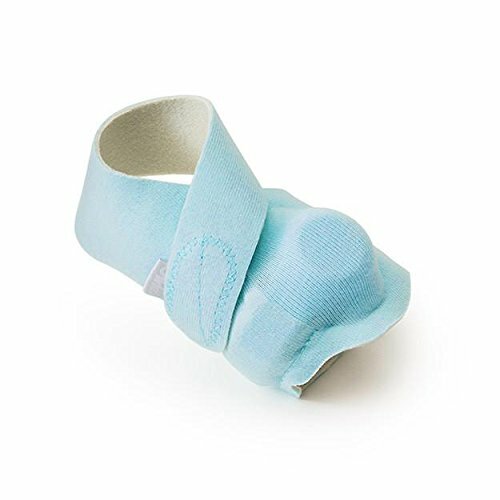 I'm a huge fan -they're soft, stretchy, easy to put on and take off... great for all babies! (They're what I gave my newborn baby nephew to wear last year!) The fabric is downright luxurious, which makes them wonderful gifts! The awesome thing is that they offer many of their adorable styles and prints in preemie sizes. NICU journals bring families so much comfort, so don't forget to consider Our NICU Journey, available right here on Every Tiny Thing, or on Amazon. This daily tracking journal is designed specifically for the NICU, with places for parents to track daily weights, feedings, caregivers names... and so much more! Whether a baby is a preemie or not, this journal is ideal for the NICU parents this holiday season. 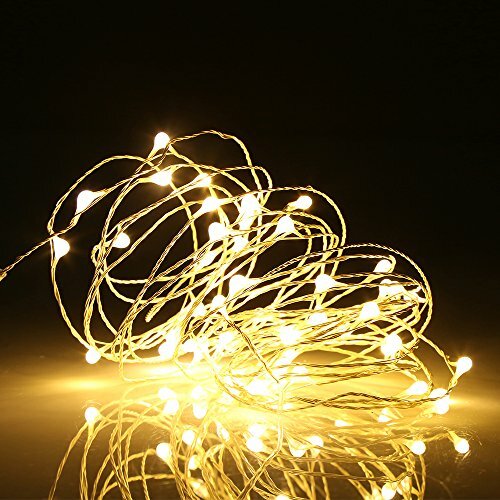 Fairy lights are a festive way to decorate a baby's bedside during the wee hours of the night shift. It sets the mood with a little cheer! Go for all white, like these, or have some fun with holiday-inspired colors! There's not much fun about having to pump all day every day while a baby is in the NICU, so why not show mom that you understand by giving her a hip, snazzy cooler tote to carry all that liquid gold in? Our NICU Milestone Cards are perfect for any NICU baby, but especially preemies who are fairly new to the NICU. Why? Because they still have many milestones to look forward to, and we have the cards to celebrate them! First bottles, first baths, and those NICU-specific celebrations like coming off the ventilator, kangaroo care and graduating to an open crib. 48 milestones in all. They're very inspiring for mom and dad to have positives to look forward to! How cute are these matching T-shirts? There are tons of adorable matching T-shirt sets on Etsy, so you're sure to find a set that are perfect for a thoughtful, unique gift. If you still need more ideas for great gifts, or if you'd just love to learn about a whole bunch of fantastic books to read aloud to your NICU baby, check out Trish's list of the 75 Greatest Read-Aloud Books Here. Tons of NICU parents are talking about the Owlet, so if you haven't heard about it yet, let's take a look. The Smart Sock 2 uses proven technology (pulse oximetry) to track your infant's heart rate and oxygen levels from the comfort of your home. The Smart Sock 2 has a range up to 100 ft and uses an innovative fabric sock to ensure a comfortable fit and accurate readings. This is a small sock that is worn by a baby which contains a pulse-ox probe (and EVERY NICU parent knows what that is, right? The red glowing light thing that wraps around baby's foot or wrist and is attached to the baby's monitor.) This reads the infant's oxygen levels and heart rate. The information is transmitted to a base station, which will alarm if the levels fall below safe parameters. The data is also transmitted to the parent's smart phone (iOS and Android) which shows digital readouts of the information. It is only for use when the baby is sleeping. I have never used an Owlet - in fact, I've never seen on in person - but I've heard countless parents tell me that they really love using it. I haven't yet met a parent who said they used it and didn't like it. With a solid 4 star rating on Amazon, customers are saying it's a great device but the customer support is not perfect. So, should you use one for your nicu baby at home? The owlet is NOT designed to be relied upon for babies who are still having apnea/bradycardia events while in the NICU, and it does not make it safer to take your baby home before your baby is cleared by your neonatologists. The Owlet has not yet been proven to have any effect on reducing SIDS. While the Owlet is considered only a baby monitor and NOT a medical device, the company is working towards getting FDA approval for the device. For NICU parents who have grown accustomed to seeing their baby's vital signs displayed 24 hours a day/7 days a week, sometimes for months on end, the comfort of having access to your baby's heart rate and oxygen level can be valuable. It can feel familiar. And that can be priceless. But remember your NICU days? Pulse-ox often alarms when babies are wiggly. So a wiggly baby may make the alarm go off. Some NICU parents hate the thought of that. Some NICU parents want nothing to do with more equipment to fuss with. Having never used an Owlet, I can not speak from experience. I think each parent needs talk with their baby's doctor and then decide for herself or himself - will the added technology bring you more comfort, or will the alarms just remind you of the days you'd rather not re-live? If you decide to give it a try, you can buy them on Amazon in 3 different colors. Or, if you have a health savings account (HSA/FSA) you can use that to purchase the Owlet. 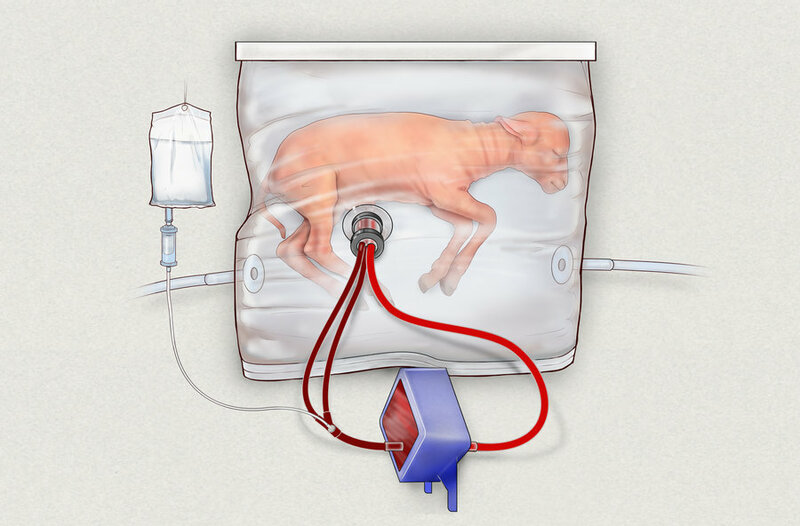 Have you heard about the artificial womb? It was big news back in April of this year. Researchers were able to successfully take a fetal lamb via c-section, place it into the artificial womb, and keep it alive and growing for a full 4 weeks. The lamb was kept nourished via the umbilical cord, which was attached to a "mechanical placenta," meaning the prematurely delivered baby did not have to rely on lungs to get oxygen. And it worked. A second trial in Japan lasted one week, as intended, and was also considered a success. The ethics surrounding this technology for human use are monumentally complex, and it's not clear whether human trials will ever be approved. But my guess is that it will happen someday in the not-too-distant future. Here's an organization worth knowing about! Hand to Hold carefully matches seasoned parents of preemies (Helping Hands) with parents in need of support. These peer-to-peer relationships inspire hope and offer the chance to ask personal questions and receive support from someone who is uniquely familiar with the experience of preterm birth, life in the Neonatal Intensive Care Unit, a child born with special health care needs, loss of pregnancy and/or infant loss. 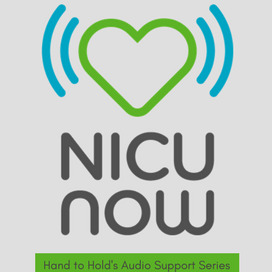 They also offer podcasts about NICU specific topics. There are currently 15 episodes. Services provided directly to parents are done free of charge. Hand to Hold is a a nonprofit 501(c)3 organization. Stop by their website to learn more! Surviving the holiday season when your baby is in the NICU can be brutal - you want to be cheerful but find it impossible, your friends want to try to bring you cheer but they don't know how, and you're still in the daily struggle of just surviving one of life's hardest experiences. 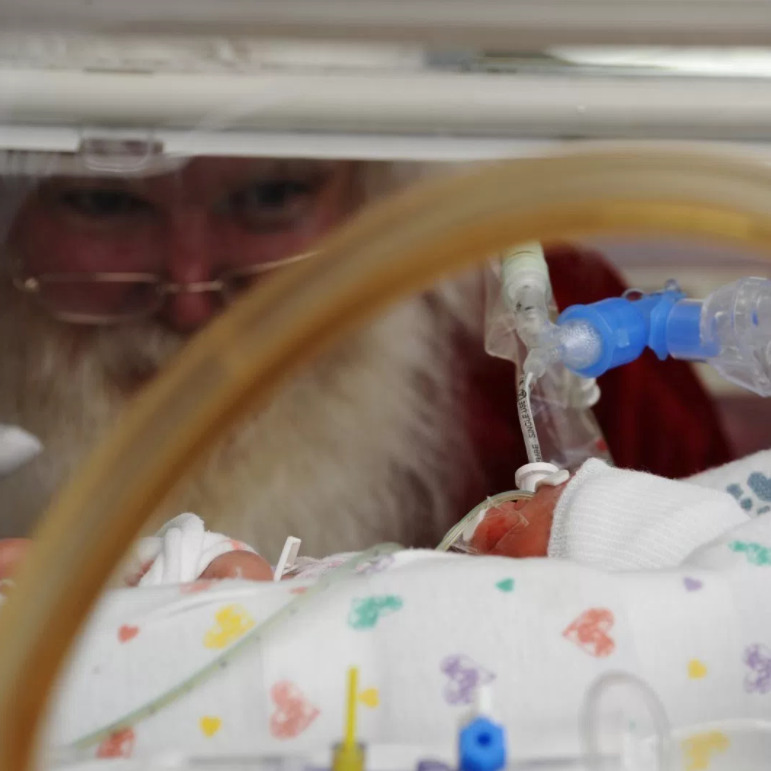 And finally, here's just a super sweet Christmas carol for an adorable preemie, sung by her NICU nurses! Enjoy! Happy Holidays from Every Tiny Thing!